"The number of foreign investors in the Toronto region’s condo market surged 50 per cent last year, with international buyers flocking to newly built units in the downtown core. In a new assessment of foreign investor activity in the country’s housing market, Canada Mortgage and Housing Corp. said one out of every 10 condos built in downtown Toronto since 2010 is owned by someone living outside of Canada. That share is far higher than for condo units built in previous years. 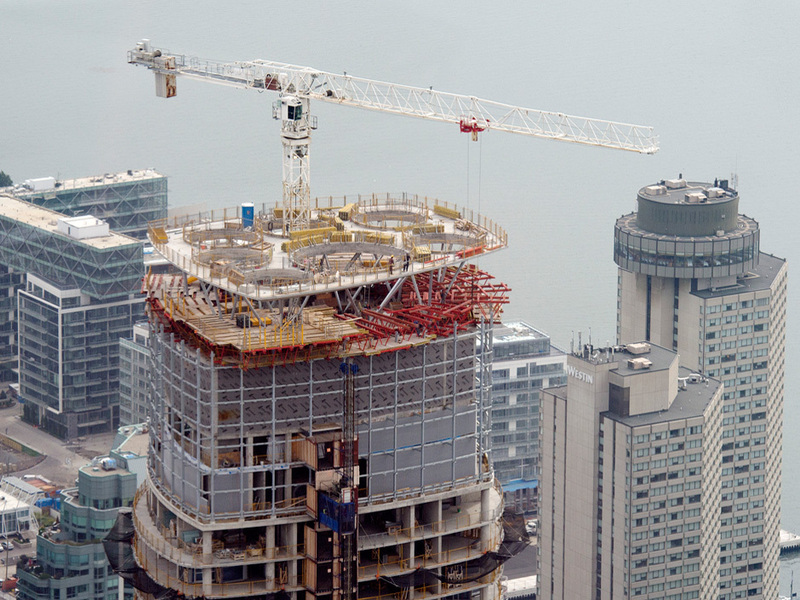 CMHC said foreign investors own 4.3 per cent of downtown Toronto condos built between 2000 and 2009, and 2.3 per cent of units built in the 1990s. Those figures are consistent with developers’ estimates that roughly 10 per cent of new condo sales in the city are to people outside of Canada and that international purchasers typically prefer to buy pre-construction condos through connections with local brokers. “This number seems to be more in line with what our subscribers and the industry is seeing on the ground,” said Shaun Hildebrand, senior vice-president of condo research firm Urbanation. But CMHC’s figures also show a surge in both the number of new condos completed in 2015 and the share of those units bought by international investors. The total number of new condos jumped 45 per cent last year in the Toronto census metropolitan area compared with 2014, while the number of foreign owners who bought condos that were built in the past five years jumped 95 per cent, from about 3,500 in 2014 to nearly 7,000 last year. The shift was most dramatic in areas of the city outside of the core, where the number of new condos increased 47 per cent in 2015 compared with 2014, but the number of new units bought by people from outside of Canada more than tripled. Despite the significant increase in foreign ownership, the overall number of international investors in the market remains small, representing 11,000 of the Toronto region’s more than 338,000 condos and about 3,000 of the nearly 30,000 new condos completed last year. CMHC based its figures on surveys of property managers in condominium buildings in September and October of last year. The federal agency considers anyone whose permanent residence is outside of Canada to be a foreign owner, including Canadian citizens who live outside the country but still own condos in Canada."